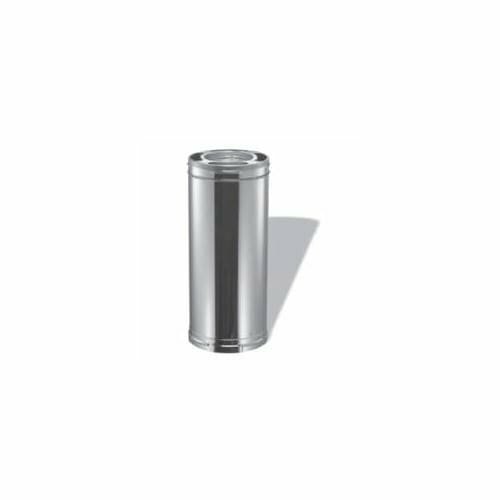 The DuraPlus 8" x 24" Galvanized Class A Triple Wall Chimney Pipe Length is designed for appliances tested and listed for is used with wood stoves, fireplaces, furnaces, boilers, stoves, ranges, water heaters, or other appliances fueled by wood, oil, coal, or gas. 6", 9", and 12" chimney pipe has 1" insulation blanket; 24", 36" chimney pipe has 1?2" insulation. To calculate the installed length of DuraPlus chimney pipe, subtract 1 1?2" from each length of chimney pipe. Features: Type: Chimney Pipe. .5" Insulation Blanket. Class A Triple Wall Chimney Pipe. Designed for Use with Appliances Fueled by Wood, Oil, Coal, or Gas. UL Listed. Specifications: Overall Dimensions: 24" (L) x 12" (W). Inner Diameter: 8". Outer Diameter: 12". DuraPlus is designed to stay cool on the outside, to provide a hot draft on the inside, to boost stove efficiency, and to provide for a fire-safe design that protects both the chimney and the building. This triple-wall chimney features two insulating layers (ceramic blanket, plus air space). The ceramic blanket insulation is held securely in position, eliminating hot spots common with loose-fill type insulations. In the event of a creosote fire, the compressible blanket insulation permits the chimney liner to expand outwardly in a radial direction. Designed for normal, continuous operation at 1000Â°F flue gas temperatures, DuraPlus is subjected to rigorous and stringent HT requirements of the UL standard, including one hour at 1400Â°F, plus three ten minute chimney fire tests at 2100 Â°F. 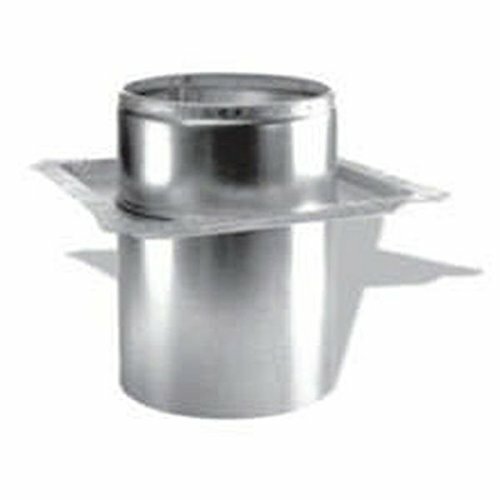 The DuraPlus 6" Class A Chimney Pipe Chimney Cap with Spark Arrestor is required where chimney pipe terminates above the roof line. Removable screws allow for cleaning of the chimney and spark arrestor screen. Made of stainless steel. 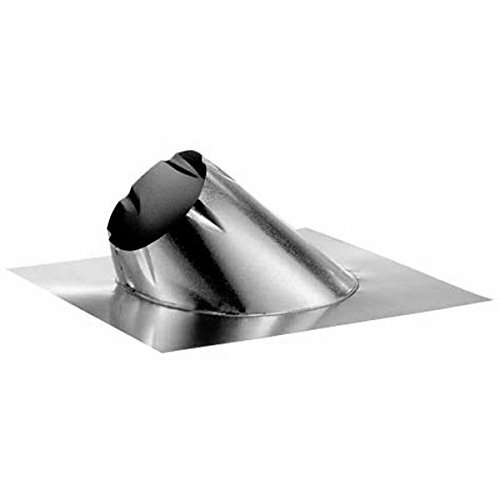 Features: Type: Chimney Cap. Material: Stainless Steel. Comes with Spark Arrestor Screen. 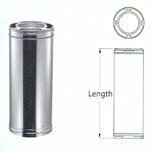 Specifications: Overall Dimensions: 7" (H). Inner Diameter: 6". Outer Diameter: 12". Designed for appliances tested and listed for use with wood stoves, fireplaces, furnaces, boilers, stoves, ranges, water heaters, or other appliances fueled by wood oil, coal, or gas. 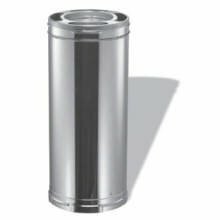 To calculate the installed length of DuraPlus chimney pipe, subtract 1 1/2'' from each length of chimney pipe. 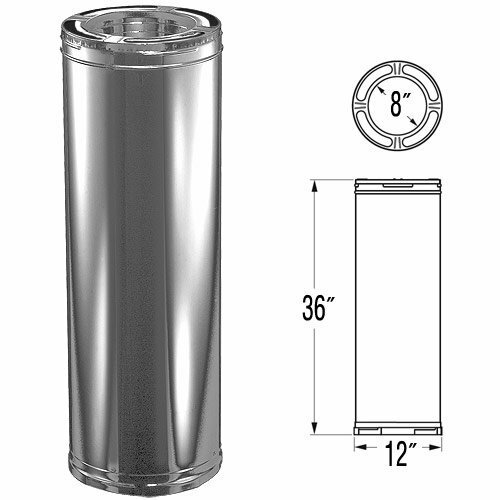 DuraPlus is a triple-wall, all-fuel chimney for use with wood stoves, fireplaces, furnaces, boilers, stoves, ranges, water heaters, or other appliances fueled by wood, oil, coal, or gas. Designed for appliances tested and listed for use with wood stoves, fireplaces, furnaces, boilers, stoves, ranges, water heaters, or other appliances fueled by wood oil, coal, or gas. To calculate the installed length of DuraPlus chimney pipe, subtract 1 1/2" from each length of chimney pipe.DuraPlus is a triple-wall, all-fuel chimney for use with wood stoves, fireplaces, furnaces, boilers, stoves, ranges, water heaters, or other appliances fueled by wood, oil, coal, or gas.